Sant Dnyaneshwar Shikshan Sanstha (Educational Institute) was established in 1986. Motto of this Institute was to increase the social and educational standards of scheduled castes and scheduled tribes. In 1992 former chief minister, Mr. Sudhakar Naik gave permission to run a residential school (AshramShala) at Mauje Ashta (tehsil Walwa) This school performed their role of ideal school for schools in the state. Looking a success in way of the motto government gave another of scope to open next such residential school at two places. One place was in the district Kolhapur at Mauje Hatkanangle & another was at Sangli district at Mauje Tasgaon. Today there are five residential schools run by a Shikshan Sanstha. Meanwhile two such residential schools established within the Sangli district. Government of Maharashtra gave kind permission to these residential schools. One model Playschool started in Islampur In 1997; all these institutes are granted a state fund. In 1998, educational Institute started a residential school for mentally lapsed students. Last five years this Institute is assisting for 60 mentally lapsed students. As long, this Institute is non-grantable institute. In 1999, two non-residential schools for scheduled castes – tribes, other backward classes were established. All these institutes are working smoothly. In 1998, government observed lack of educational facilities at Hatkanangale, which was actually a Tahsil place; boys and girls, were going outside for education. Institute approach the government was sanctioned a college. This college was actually started .today this College is having tests large building on rented basis. College has gained being status from NAAC-Madras. While observing bright progress of the institution state government and all India board of technical education gave permission to start an engineering College, which consist trades mechanical, electrical, electronics, telecommunication, and information pedagogy and computer sciences. This college has capacity of 300 seats every year. Today 1100 engineering students are learning in this Institute. This Institute is having a high an ISO- 9001 status holder. Renowned companies are taking advantageous of campus recruitment through this institution. In January 2000, central board central Council of Indian medicine- New Delhi and Maharashtra Health sciences University Nashik approved an Ayurved medical College at Ashta. This college is having a wide building, a spacious library, modern equipment and facilitates are also available to students. This college consist 150-bedded hospital for indoor patients. Except this more than 150 patients take advantage of OPD (outdoor Patient Department) facility. Purpose to give knowledge and improve job trained atmosphere; Institute started a nursing training college at Ashta. Students from surrounding areas have shown a great interest in this education. This modern and model nursing College provides educational facility to needful candidates in a few costs. The Rehabilitation Council of India New Delhi gave permission to run up a training centre for teachers to mentally lapsed students. This training held at Mauje Palus. 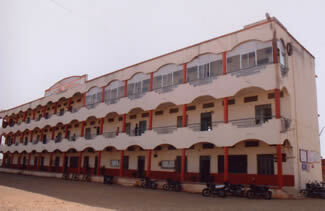 The Institute Sant Dnyaneshwar Shikshan Sanstha is serving Society with 23 different pronouns surrounding 6500 students are learning and 450 employees are associated with Institute institution have available buildings for its purpose and having land at different locations in its surrounding area. Sant Dnyaneshwar Shikshan Sanstha proposes to the run-up a B.Ed., D.Ed. & D.Pharma College proposal is pending with government officials. Sant Dnyaneshwar Shikshan Sanstha is leading under guidance of Shri. Annasaheb Dange.